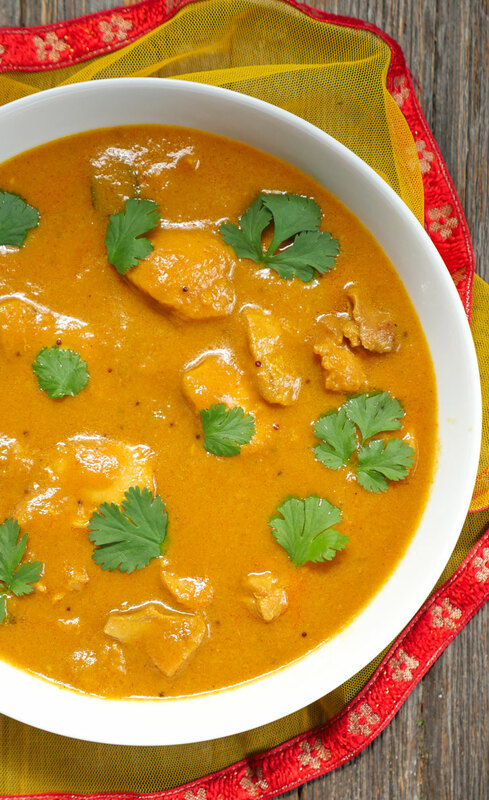 This Indian mango chicken is one of my all time favorite curries – everyone in my family loves it! And by “everyone” I mean my picky toddler and my picky husband which means this chicken dinner is a winner (sorry, couldn’t resist). It’s a very flavorful curry and yet it’s also very mild thanks to the sweet mango sauce and coconut milk. 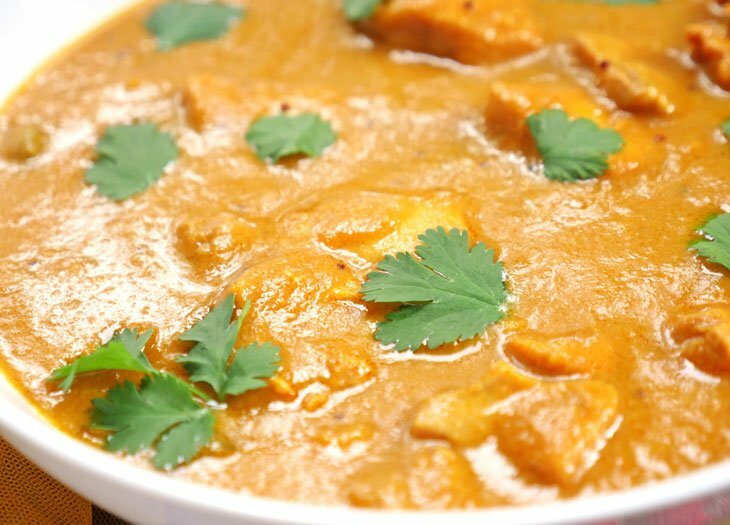 If you’re new to Indian cuisine or are trying to get your kiddos to eat Indian food, this mango chicken curry aka aam ka murgh is a great way to get introduced to the flavor/cuisine. Butter chicken is a good intro dish too but it’s nice to switch things up sometimes. In fact, my toddler (who is almost 2) loves this mango chicken more than my butter chicken recipe, and that’s saying a lot because he sure does love butter chicken. My recipe doesn’t call for canned mango pulp which is how most restaurants make this dish. I prefer to make my own mango puree by blending fresh ripe mango chunks (frozen mango chunks work too, just thaw the mango before blending). This gives the curry more of a naturally sweet mango flavor. Canned mango pulp is typically heavily sweetened which is why I don’t use it in the dish although, these days you can sometimes find unsweetened canned mango in Indian grocery stores (I like the brand 24 mantra). Typically when I use ripe mangoes, I don’t add sweetener to the curry but if you feel that the mangoes aren’t sweet enough, feel free to add some sugar. You can serve this with white basmati rice, brown basmati rice, pea pulao and a veggie sidefor a complete – and – completely delicious meal.